With over 300 days of sunshine a year, Cyprus is a popular European destination wedding location and it has so much more to offer! 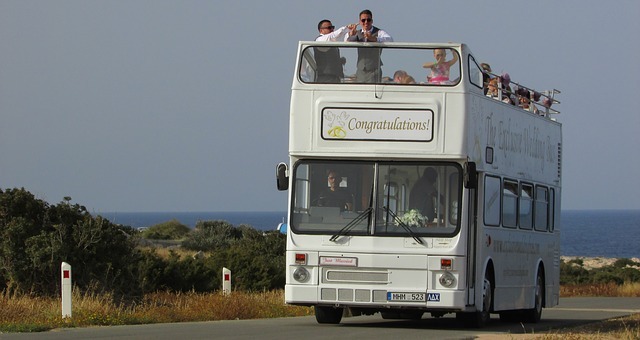 Fun, sun, beauty, sight-seeing, relaxation and an active nightlife is what you will get with a Cyprus destination wedding. Imagine gliding in sandals across the golden sands while feeling the light sea breeze ruffle your hair. 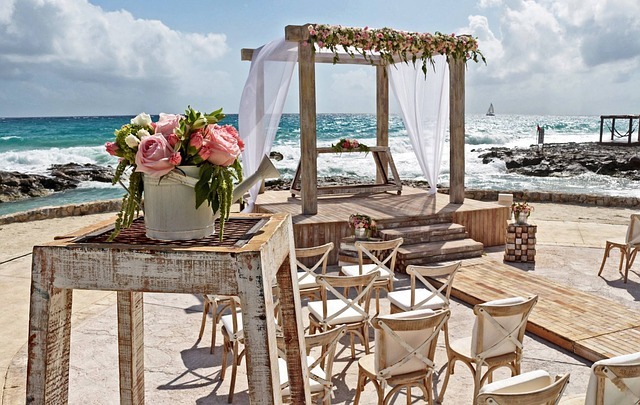 You catch the natural scent of the sea while hearing only the sound of gently crashing waves as a backdrop to your chosen wedding music. It's magical and relaxed and you have no need to rush off to pack for a honeymoon because you're already there! With abundant sunshine, beautiful sandy beaches, historic and picturesque attractions, exotic and tasty food it is no wonder Cyprus is such a popular destination for weddings. Did I mention the nightlife? For livelier couples shopping and nightlife are a great added bonus. 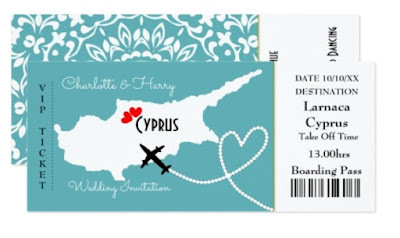 Where to get married in Cyprus? All destinations were not created equal so make a wish list of the 'type' of wedding/vacation you want. Do you want to see the sights, chill by a pool, enjoy ocean sports and games, enjoy the busy nightlife and shopping? Your wish list will help you and your travel agent decide which is the best location. They may advise you to check out Limassol and Aiya Napa if you want a great nightlife and shopping. They are also known for their tourist attractions and are popular destinations for weddings. Paphos to the West of the Island of Cyprus retains its old rustic charm while being a growing centre for tourism and may suit those who want something more serene. Another popular destination for a Cyprus wedding is Protaras. Your travel agent will be able to assist you with finding out about the legal requirements for getting married in Cyprus and advise you about everything you need for your special day. They can provide a full wedding package or just take care of flights and accommodation. They can also advise you on the many different venues and locations you can choose for your wedding which include, beaches, gardens, churches, town halls, hotels and more. You can alternatively shop online via Amazon for one of their many guides to getting married in Cyprus. They have guides re the legalities and re the various locations and their distinct attractions. Page down to view my selection. 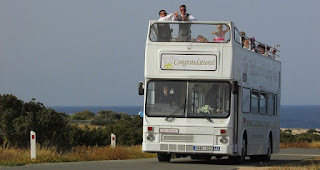 You can see everything they have on Cyprus weddings HERE. 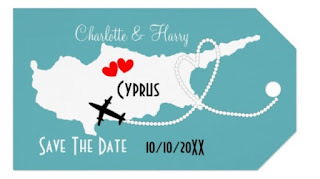 Your guests will have a LOT of planning to do themselves if they're joining you for your Cyprus destination wedding, so get those save the dates out at least a year ahead of time, so they can save, book time off and make other arrangements as needed. They will be planning for a short holiday and so will need the sort of advance notice that holiday planning requires. 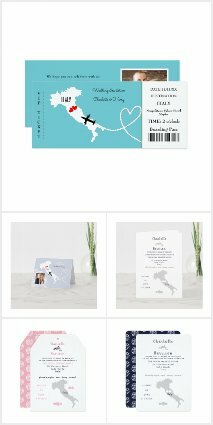 About two months before the wedding, send out the invitations with all the particulars. It may be the case your guest list is small and you will instead have a wedding reception in your home town upon your return. This will ensure all your friends and family are happy and enjoying celebrating your wedding. You can have a recording on hand screening your destination wedding ceremony during the event. 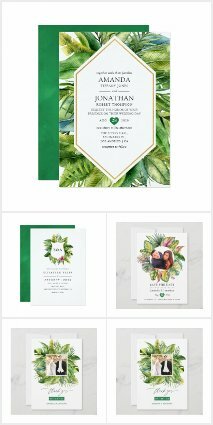 With the nitty gritty of the legalities out the way you can focus on the more pleasant wedding arrangements such as the invitations, the dress, bridal party clothes and all the decorative, reception, catering and music aspects. Some features of the decor and reception, catering may be included in your wedding package. Check the details thoroughly and ask questions about anything you're uncertain of. How can you late can you remain on the beach? Can you have a BBQ, grill food on the beach? Your guests may be suffering from jet lag, may have had long waits in airports, long drives to the hotel and now be sitting or standing in hot sun on the beach. It will all be worth it of course, but for their comfort give some consideration to all this and ensure their comfort as much as possible. Other tourists (you might need a permit to have use of a section of beach or it will be included in your package). 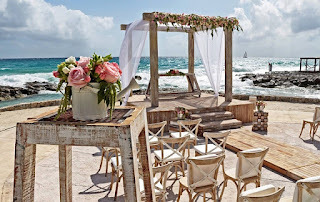 Light and airy for comfort is the name of the game for a beach wedding! Perspiration and hopping barefoot on hot sand is not attractive and neither is hobbling down the aisle on heels that are sinking into the sand. So put on your practical hat and give comfort and glamour a big consideration. They go hand in hand for a beach wedding. Not all Cyprus couples will be marrying on the beach, so you can of course dress accordingly for those other venues, wherever they are. Foot wear is important! You as a bride don't want to be teetering across the sand in heels (have you ever tried walking on sand in heels?) it won't be catwalk style that's for sure. Flipflops might be too casual so instead a pretty diamante encrusted beach wedding sandal is a good choice. Nice and airy, with protection from the heat of the sand. For the groom a male version of a smart sandal or a casual loafer shoe accompanied with a shorter trouser leg (trendy calf length) will look smart and in keeping with the beach theme. The groom can also roll up loose pant legs for photos taken next to or in shallow sea waters. Below is a selection of wedding dresses suitable for beach weddings. Consider the venue and the weight of the dress and how you will pack it for travel. For a beach wedding the dress (usually white) can be short and lacy, or long and floaty but light material with minimal detailing. You can also detract from those traditional choices with a modern wedding dress with blue ombre shading on the skirt, or a bohemian, hipster style summer dress with floral embroidered detail. Coral is a trending color for weddings this season. You have a lot of choice. As noted above the aim is comfort and staying cool. The groom can wear a formal suit, but for a hot beach wedding I'd opt for a modern trendy more casual alternative, such as calf length trouser, turn ups or even a roll up. Shirt can be formal but worn out and without a tie, or Hawaiian with floral pattern. A straw boater style hat would compliment the look. Have a look at the suggestions . 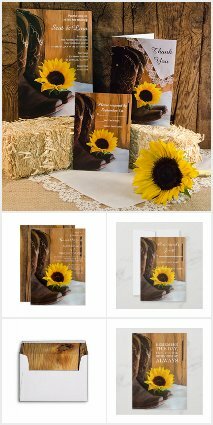 Apply the same consideration for your maid of honor, bridesmaids, flowergirls, pageboys, ring bearer, best men, mothers and fathers of bride and groom as for the bride and groom. Cool and comfortable! Colors can match the theme of your wedding, with light airy dresses (any length), sandal type shoes, shorts and casual shirts for the men.